Blog to End the Occupation: Why is Palestine solidarity being criminalized on California campuses? Kristin Szremski is a member of the US Campaign Steering Committee, an independent journalist and the director of media and communications at American Muslims for Palestine. 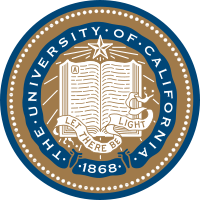 Cooperation between academic authorities at the University of California at Davis and influential Zionist organizations could have an adverse impact on Palestine solidarity work there and on college campuses across the country. The implications of what is unfolding on the UC Davis campus go far beyond issues of free speech. Several pro-Israel forces and the institutionalized pro-Israel bias of university administrators have converged to create a formidable agenda that conflates support for Palestinian rights with the violation of Jewish students’ civil rights. If left unchallenged, this could create a nearly impossible environment on university campuses for the free exchange of ideas, especially those that include criticism of Israeli policy. Alert to this institutionalized bias, California Scholars for Academic Freedom, a group of 150 academics from 20 universities and colleges, issued a statement on 10 March decrying University of California President Mark Yudof for delivering “a blow to the right to dissent and protest” (“California scholars for academic freedom protest UC president’s apparent bias regarding the right of free speech and dissent on UC campuses,” US Campaign for the Academic and Cultural Boycott of Israel, 10 March 2012). At issue is the controversy surrounding a silent and peaceful walkout staged by Students for Justice in Palestine (SJP) and other social justice groups on 27 February. Zionist organizations, including StandWithUs, brought the “Israeli Soldiers Speak Out” tour to campus as part of a national campaign to combat Israeli Apartheid Week, the global effort to raise awareness of Israel’s policies among students. The UC Davis protesters stood up and walked out of the auditorium silently. But one student, unaffiliated with SJP, stood and heckled, egging on security personnel to remove him from the scene. Despite the overwhelming video evidence that SJP students were silent, Yudof and the campus Hillel organization condemned the Palestine solidarity group, conflating its members with the actions of one.